Dragon Quest X to be enhanced on the Wii U? Will we be fighting slimes on the Wii U? I know I’m probably not the only person in the world who’s looking forward to Dragon Quest X. It’s one of my highly anticipated Wii games along with Skyward Sword, Kirby Wii and a few others. Unfortunately, not much is known about the next in the Dragon Quest series. In fact we’ve had barely any news since it was announced for the Wii in 2008. 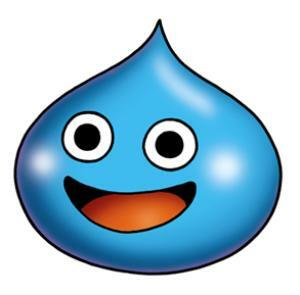 Now it seems that Dragon Quest could be coming to the Wii U as well. Earlier today, Square Enix held an investor’s meeting where CEO Yoichi Wada spoke about the possibility of making Dragon Quest X compatible the Wii U seeing as the Wii’s successor is close to being released. However, it could be that it will be a Wii game that will have special features if used with the Wii U rather than a a separate Wii U version. I guess we will just have to wait and see. Would you like to have an enhanced Dragon Quest X for the Wii U or are you fine with a Wii version? Sounds like the same thing as was done with Twilight Princess, and that was a good thing. I loved that game on Wii. I’d even go as far as to say that it was the best Zelda game I’d ever played. Hope this game follows in its footsteps. If the Wii-U is as “easy” to code for as some developers have intimated, why not scrap the Wii version altogether and go whole hog, as-it-were, on a Wii-U version? Full 1080p at 60fps? 1080p DQX? Well, yes please!